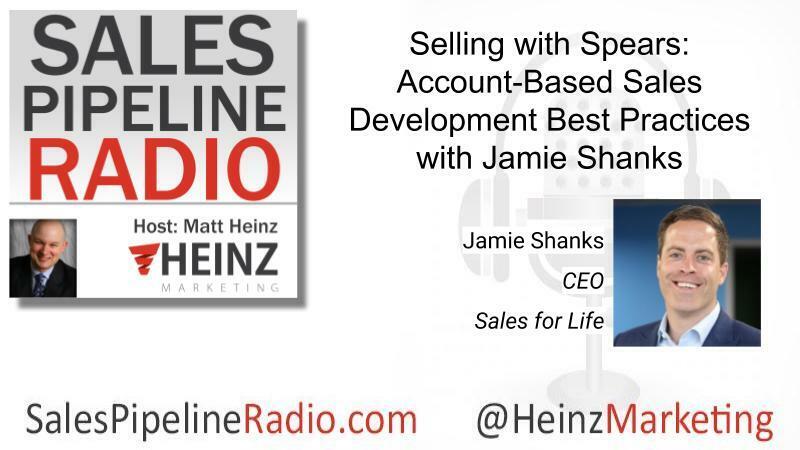 I asked Jamie: "I've noticed in a lot of your marketing, and a lot of your messaging, that you've made the shift from social selling to digital selling. Help me understand, what's the difference, and why is it important to think about this, broader than just social channels, today?" To whet your appetite, here is part of Jamie's reply. Read the full transcript and/or listen below. "...the reality is that social media is only one mechanism to help a seller connect with a buyer. Other digital platforms, like video is one, and is soon emerging, and I believe is the next wave, artificial intelligence and machine learning, are all digital data points. Remember, you're using these tools for research, for account planning, for account engagement, for account qualification and disqualification. All of these digital tools and fingerprints that customers are leaving around, can be harnessed to help a seller. And so we're evolving it towards digital. And in fact, even companies like LinkedIn are evolving it beyond digital. They don't even call it digital anymore, it's being called modern. That's all that it is. Because at the end of the day, social selling, digital selling, it's all just selling. It's just infusing the 21st century into your sales place."